So proud to be featured in the Sydney Morning Herald! Well done Pat and Congratulations Jessica! 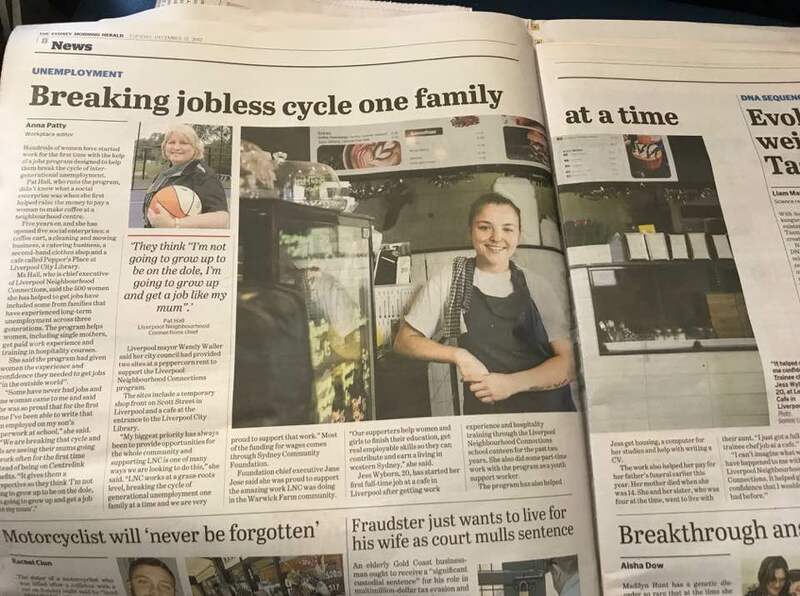 "Ms Hall, who is chief executive of Liverpool Neighbourhood Connections, said the 500 women she has helped to get jobs have included some from families that have experienced long-term unemployment across three generations. The program helps women, including single mothers, get paid work experience and training in hospitality courses".